Happy 2019 to everyone! I am back from some family R&R over the Christmas period. 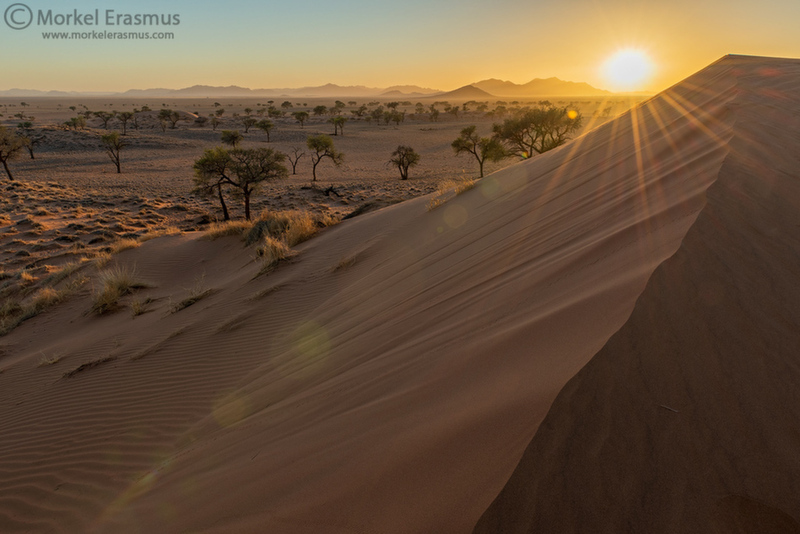 Sunrise from on top of a dune in the fabulous Namib Rand Nature Reserve in Namibia. Solitude as far as the eye can see! Gorgeous view- the sun star is excellent. Love the sense of depth and distance. And the solitude. Love the lines and even the flare adds here. A Happy New Year to you too, Morkel! Well worth a click to fully appreciate this wonderful view - I can 'feel' the silence.